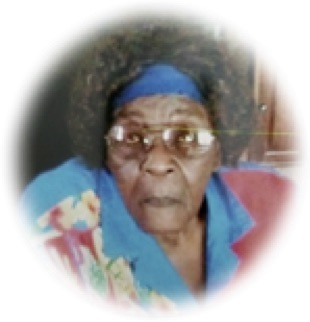 Obituary for Mildred Jones | Larry Smith-Cooper Funeral Home, Inc.
On Tuesday, January 15, 2019, Mrs. Mildred Jonesdeparted this life and went home to be with the Lord. She was born May 21, 1927 to Ben McBride, Sr. and Hallie Frazier McBride in Mullins, South Carolina. She and her twin brother were fourth and fifth of six children born to the couple after moving to Mullins from Hemingway, South Carolina. After graduating high school, she continued to work, helping her parents on the farm before eventually leaving home to pursue her dreams of a better life. After several years, she settled into domestic work in both Florida and New York until retiring in the year 2000. Though traveling from state to state, Mullins, South Carolina was always home. Mildredloved life and lived it to the fullest while always keeping Christ at the center. She was preceded in death by her parents: Ben, Sr. and Hallie McBride, her brothers: Howard McBride, Booker T. McBride, Ben McBride, Jr., and her twin brother, Donald McBride and her husband of many years, Jona (John Henry) Jones of Nichols, South Carolina, nephew: Ronnie McBride and great nephew Little Kemp. Mrs. Mildred Jones will be lovingly remembered by her son: Edward Jones; her sister-in-law: Gladys McBride; nieces: Joan and Kemp Reaves, Cheryl and Terry McBride; nephews: Doward McBride, Alphonso McBride, Bill McBride; great nieces: Chasity and Joanna; great nephew: Cameron Reaves; granddaughters: Tabitha Jones, La-kiesha (Jones) Jamison, Cheyenne Jones; dear friend: Darlene Cooper, Shirley Davis and Laura Rivet along with many more great nieces and nephews.